An on line or mail in survey is available for girls up to 18 years of age to complete in English, Spanish French, Portuguese and Arabic. Download hard copies of the survey here, complete and mail them to Working Group on Girls 777 United Nations Plaza, Suite 6E, New York, NY 10017. Caroline Price, Mission, People and Culture Team, Australia shares the following story which was on commercial television last night about the No Interest Loans (NILS) program. The program began in the early 1980s when the Sisters gave seed funding to start it. Now it is a program worth millions of dollars and has the support of one of the national Banks and the Government. Video Link Here Congratulations Good Shepherd and NILS! See the website Action 2015 referred to in the column. The Barbershop Conference was held today at the United Nations. It was lively, engaging and creative. I was touched to hear Permanent Representatives from the following member states – Palestine, Indonesia, Latvia, Netherlands, Slovenia, Tunisia and Pakistan make commitments to gender equality. Mr. Max Bryant, a youth advocate for girls education is 13 years of age from New Jersey and is a Model UN Student in his school. He was excellent. You can hear him towards the end of the session. “Unjustifiable that people can be denied eduction because of a single chromosome.” Max Bryant. Among the presenters was Magnus Scheving, from Iceland, a writer, actor, producer, entrepreneur and athlete. He demonstrated that the principles of ‘Lazy Town’ can be easily adapted to promote gender equality emphasizing the power of positive role models. Christopher Graves, Global Chairman of Ogilvy Public Relations had some interesting thoughts to share. On December 4th, 2014 the Secretary General launched an advanced edition of his Synthesis Report entitled ‘The Road to Dignity by 2030: Ending Poverty, Transforming All Lives and Protecting the Planet.’ I like the title, do you? The official version is now available in six languages Synthesis Report of the Secretary General on the Post 2015 Agenda. An outline of the report was posted on on December 18th. The Working Group on Girls has posted a response to the Synthesis Report. You can access all the responses here. Another response that you may be interested in is the Women’s Major Group Response. You will find it posted on Website dated December 20, 2014 These will give you some perspectives on the issues of concern about girls and women in the Post 2015 Agenda. On Friday 16th January there is a stakeholders preparatory Forum. The session from 11.00 – 1.00 p.m. will focus on the Secretary-General’s Synthesis Report. The 17 goals and targets listed. 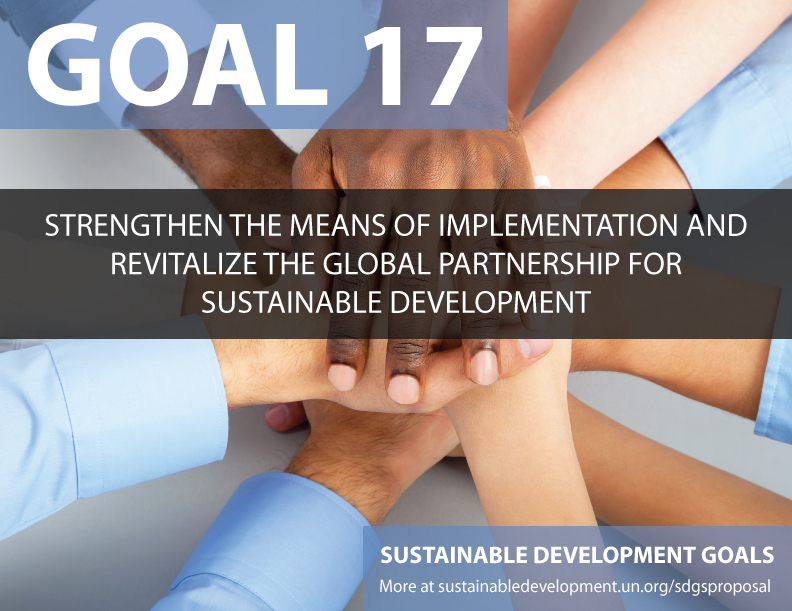 Towards the end of the document is Goal 17 divided into the following subheading Finance with five targets; Technology with three targets; Capacity Building one target; Trade with three targets; and Systemic Issue with the following subheading: Policy and Institutional Coherence has 3 targets; Multi-Stakeholder Partnerships has 2 targets; and Data, Monitoring and Accountability has 2 targets. Would love to hear if you have opinions about any of the above? Why not post a comment in the comment box.